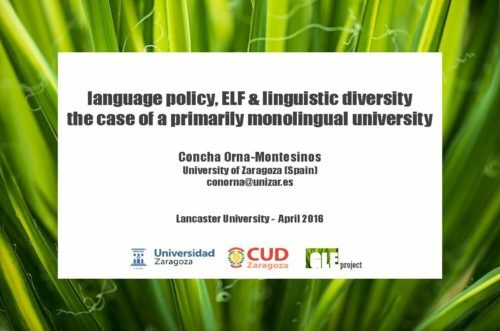 Dr. Concepción Orna-Montesinos presented the GLE Project at a meeting of the Literacy Research Discussion Group of the Department of Linguistics and English Language of Lancaster University. Her talk discussed the challenges posed by the linguistic policies recently adopted in Spanish Higher Education institutions to foster internationalization of teaching and research activities. The presentation offered an excellent opportunity to launch the GLE project. The discussion which followed the presentation allowed a fruiful exchange of ideas and to establish synergies between both research groups.